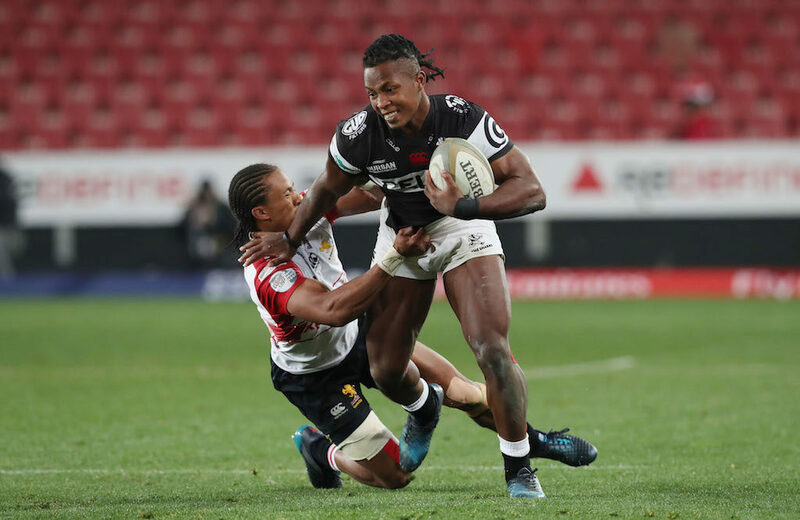 The clash between the Sharks and Golden Lions has been made all the more interesting by the return of several Springboks, writes CRAIG LEWIS. It’s been a largely forgettable season for these two teams, who sit at the bottom of the standings. 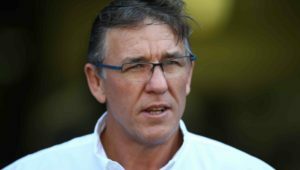 The Cheetahs’ depth has been exposed due to the need to split player resources between the Currie Cup and Pro14, with their domestic team having slipped to five successive defeats. This will be the last game of the season for Free State, and so they will be desperate to finish with a win at home against a Pumas side that has managed just a solitary victory this campaign. Subs: 16 Hanno Snyman, 17 Stephan van Schalkwyk, 18 Nardus Erasmus, 19 Luigy van Jaarsveld, 20 Dian Badenhorst, 21 Reinhardt Erwee, 22 Maputa Dolo. Pumas – 15 Devon Williams, 14 Morné Joubert, 13 Neil Maritz, 12 Ryan Nell, 11 Ruwellyn Isbel, 10 Christopher Smith, 9 Stefan Ungerer, 8 Jeandré Rudolph, 7 Willie Engelbrecht, 6 Marnus Schoeman, 5 Hugo Kloppers (c), 4 Le Roux Roets, 3 Andrew Beerwinkel, 2 Marko Janse van Rensburg, 1 Morgan Naudé. Subs: 16 Simon Westraadt, 17 De-Jay Terblanche, 18 Cameron Lindsay, 19 Francois Kleinhans, 20 Abrie Griesel, 21 Kobus Marais, 22 Henko Marais. This is the big match-up of the weekend, with both teams still remaining very much in the hunt for a home playoff. The Sharks have played just three games this season, and although they remain undefeated, this is likely to be their greatest test of the campaign to date. Beneficially, the Sharks have been boosted this week by the return of fit-again Springboks S’bu Nkosi and Coenie Oosthuizen, who will play off the bench, while Thomas du Toit has been released from the national camp and will start at tighthead prop. 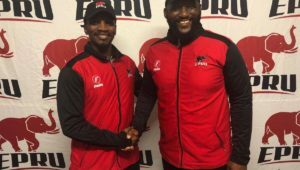 The Golden Lions should still be smarting after they conceded 65 points against Western Province last weekend, and so they will be searching for a much-improved performance on defence. The presence of returning Springbok Ross Cronjé should serve as a calming factor, and he will have an important role to play as a leader and halfback general. The Lions are currently just one log point adrift of the log-leading Blue Bulls, but they do have a game in hand, and will want to ensure they bank a victory in their penultimate league match. 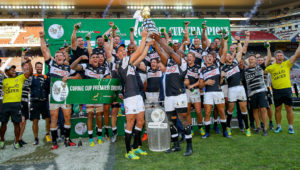 Sharks – 15 Curwin Bosch, 14 Kobus van Wyk, 13 Jeremy Ward, 12 Marius Louw, 11 Lwazi Mvovo, 10 Robert du Preez, 9 Louis Schreuder, 8 Daniel du Preez, 7 Tyler Paul, 6 Luke Stringer, 5 Hyron Andrews, 4 Gideon Koegelenberg, 3 Thomas du Toit, 2 Chiliboy Ralepelle (c), 1 Juan Schoeman. Subs: 16 Akker van der Merwe, 17 Coenie Oosthuizen, 18 Ruben van Heerden, 19 Jacques Vermeulen, 20 Cameron Wright, 21 Sbu Nkosi, 22. Aphelele Fassi. Golden Lions – 15 Andries Coetzee, 14 Sylvian Mahuza, 13 Lionel Mapoe, 12 Howard Mnisi, 11 Courtnall Skosan, 10 Shaun Reynolds, 9 Ross Cronjé (c), 8 Hacjivah Dayimani, 7 Len Massyn, 6 James Venter, 5 Marvin Orie, 4 Rhyno Herbst, 3 Johannes Jonker, 2 Pieter Jansen, 1 Sti Sithole. Subs: 16 Corné Fourie, 17 Jacobie Adriaanse, 18 Reinhard Nortnagel, 19 Driaan Bester, 20 Nic Groom, 21 Gianni Lombard, 22 Wandisile Simelane. Western Province have been the big benefactors from the Bok player release this week, with Damian Willemse, Bongi Mbonambi, Wilco Louw and Sikhumbuzo Notshe all named in their starting lineup. In particular, there will be a sharp focus on Willemse’s performance at fullback, where he may well receive an opportunity for the Boks during the final two Tests of the Rugby Championship. Province have romped to three bonus-point victories so far this season, and look like the early favourites to defend their domestic crown successfully. Considering the Bulls are out of action this weekend, and with the Sharks favoured to overcome the Lions at Kings Park, Province could have an opportunity to shoot to the top of the standings. One way or another, WP will be targeting another big win after receiving a timely Bok boost. Western Province – 15 Damian Willemse, 14 Sergeal Petersen, 13 Ruhan Nel, 12 Dan Kriel, 11 JJ Engelbrecht, 10 Josh Stander, 9 Herschel Jantjies, 8 Juarno Augustus, 7 Kobus van Dyk, 6 Sikhumbuzo Notshe, 5 Chris van Zyl (c), 4 Salmaan Moerat, 3 Wilco Louw, 2 Bongi Mbonambi, 1 Ali Vermaak. Subs: 16 Scarra Ntubeni, 17 Caylib Oosthuizen, 18 Michael Kumbirai, 19 Ernst van Rhyn, 20 Justin Phillips, 21 Dan du Plessis, Dillyn Leyds. Griquas – 15 AJ Coertzen, 14 Ederies Arendse, 13 Kyle Steyn (c), 12 Andre Swarts, 11 Enver Brandt, 10 George Whitehead, 9 Zak Burger, 8 Conway Pretorius, 7 Sias Koen, 6 Eital Bredenkamp, 5 Pieter Jansen van Vuren, 4 FP Pelser, 3 Nicolaas Oosthuizen, 2 Khwezi Mkhafu, 1 Devon Martinus. 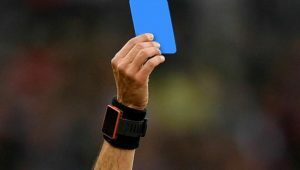 Subs: 16 AJ le Roux, 17 Liam Hendricks, 18 Ewald van der Westhuizen, 19 Sintu Manjezi, 20 Stephan Janse van Rensburg, 21 Wendal Wehr, 22 Christopher Bosch.